3. 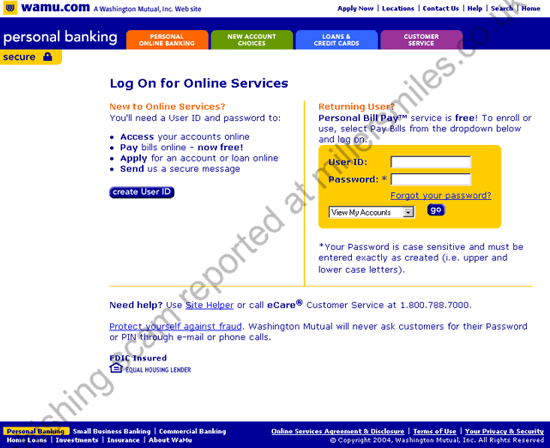 URL of spoof website disguised as " http://cgi1.wamu.com/aw-cgi/wamuISAPI.dll?UPdate ". 4. Real URL looks nothing like WAMU .
" Dear Washington Mutual Customer: It has come to our attention that your Washington Mutual billing updates are out of order." update your records by February 23th.